I began writing this book when I was nine months pregnant. Having just completed a fellowship as a Member of the Institute for Advanced Study in Princeton I returned to Toronto where, before rushing off to the delivery room, I was able to put the final touches to an essay entitled “Children of A Lesser State: Sustaining Global Inequality through Citizenship Laws.” As an immigrant and scholar of citizenship, I could not miss the irony of writing an essay on the birthright transmission of membership while awaiting the birth of my son, who was about to be given the gift of automatic and unconditional membership in our adoptive country, Canada (one of the most prosperous and peaceful societies in the world), simply by virtue of having been born on its soil. 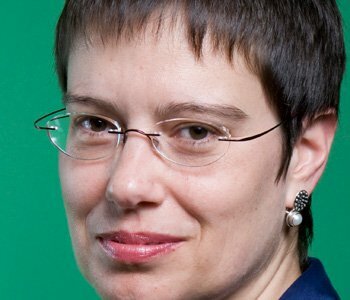 Benefiting from a particular set of legal norms has not proven a sufficient reason to accept it without scrutiny, however. Nor did it lead me to abandon the aspiration to reorient the vital academic and political debate over citizenship by drawing the analogy to inherited property. If anything, it provided an added impetus to reveal the manifold ways in which birthright access to citizenship regulates, naturalizes, and legitimizes distinctions—not only between jurisdictions—but also between vastly unequal bequests. In The Birthright Lottery I articulate the striking conceptual and legal communalities between fixed intergenerational transfers of citizenship and property. Birthright citizenship operates not merely as if it were any other kind of inherited property. Rather, in cascading down the generations, it resembles now-discredited medieval entail property regimes. Moving beyond the standard emphasis on status, rights, and identity, the book creates a space in which to explore membership entitlement in the broader context of today’s urgent debates about global justice and the distribution of opportunity. 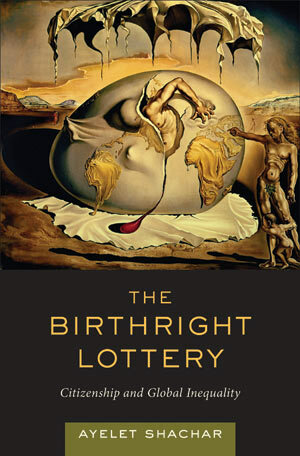 Located at the intersection of law, economics, and political philosophy, The Birthright Lottery emphasizes the problem of unburdened intergenerational transfers in the realm of citizenship. It was none other than Alexis de Tocqueville who, in Democracy in America, famously warned about the dangers of inherited property becoming the basis for enduring privilege. A similar cautionary tale is worth telling about birthright citizenship in an unequal world like our own. If we accept the basic premise that we can no longer avert our eyes from the unfairness of the current regime of unearned privilege in the context of citizenship, what can be done to alleviate it? Winning a valuable share in the birthright lottery is, after all, largely arbitrary. I therefore argue that this creates an obligation on the windfall recipients in well-off polities to give something back to the rest of the world. This will be a way to legitimize the good fortune and also to bring some of the advantage to those who have not fared so well in the lottery. This insight leads to the development of creative legal remedies that move beyond the mere reliance on blood-and-soil in sculpting the body politic. Although I fiercely criticize the transfer mechanism of citizenship by birthright, my conclusion is not that we must abolish borders, cheer for a world state, or celebrate the decline of membership bonds. Rather, The Birthright Lottery seeks to find a balance between preserving the enabling qualities of citizenship and improving the well-being of those who remain outside the legal walls surrounding affluent countries. One such idea explored in the book is placing a “birthright privilege levy” on those who drew the long straw in the membership inheritance game. The aim of such a levy is to ameliorate the most glaring opportunity inequalities that currently attach to this distribution system. This levy is designed to assist in creating a basic safety net of well-being and opportunity to those who remain barred from access to our bounty. It is also about signaling and highlighting disapproval of the current state of affairs, whereby beneficiaries in well-off polities continue to enjoy inherited accumulated wealth and power without restraint. The incumbent system of perpetual membership inheritance is hard to defend in any circumstances. But when we look at the enormous disparities in well-being, human rights and quality of life in different countries around the world, it becomes ever more difficult to justify. The proposed levy signals this moral outrage. It also holds the promise of providing a secure revenue stream for financing projects to improve the world. Such levy could equally well, and perhaps even preferably, be fulfilled in the form of public service. As a birthright heir you might be expected to make some use of your privilege to “do good” in the world. Consider just a few illustrative examples: the public service component of the levy can be fulfilled by the creation of the Global Teaching Fellows Program, the Midwives International Volunteer Corps, the Society of Engineers for a Safer World. In each of these examples, citizens-of-privilege are transformed into foot soldiers in the fight to eradicate the staggering consequences of birthright citizenship in today’s world. Although novel in its application to the intergenerational transfer of citizenship, the notion of leveling opportunity through burdening inheritance is quite familiar in property theory. Many of the giants of social and political thought – from Adam Smith to John Stuart Mill, Ronald Dworkin to Robert Nozick – agree, from different ideological perspectives, that restrictions can (and should) be placed on the perpetual transfer of unearned entitlement. Taking these constraints on the power to convey property through inheritance as a model for curtailing the presently unburdened transfer of citizenship in affluent polities, the birthright privilege levy offers a tangible legal response to curb these entail-like perpetual transfers.